A very useful overview of the period and one that I originally acquired for 99p as a Kindle sale title. I enjoyed it so much that I could not resist adding a hardback version to the library. I am huge fan of Stuart Reid's work and whilst my interest in the Seven Years War tends to be more on the Colonial scene in a moment of Barry Lyndon fuelled enthusiasm (not to mention memories of an epic Eric Knowles organised refight of the battle many years ago) I figured it would not hurt to add this to the 18th century collection! It was the last weekend in February which can mean only one thing - the Cavalier wargames show at Tonbridge Wells in Kent. As usual yours truly was in attendance, this time with an old gaming friend from back in the Newham Wargames Club days of the early 1970s and 1980s. John, my companion for the day, is a lapsed wargamer in respect of using figures but is still a committed student of military history. He is also a person of very forthright but carefully considered opinions and I have great deal of respect for his thoughts and reasoning. As my usual modus operandi for shows these days is to arrive early and help Dave Lanchester set up his military book emporium, it meant that both John and I were immersed in lots of tempting titles from the outset. His willpower was far stronger than mine though as I my resolve weakened and I picked up a couple of titles for the library - more of which later. In many ways it was a different kind of show for me, as John and I wandered around discussing gaming from 'back in the day' to current trends, rather than yours truly flitting from stall to stall with little rhyme or reason. It was really interesting hearing John's opinions on many topics - especially given his absence from the hobby - and I have to say he has given me much to ponder, more of which in a later post. As is usual for this kind of event we bumped into many friends old and new - Postie's Rejects were present with Ray, Lee and Postie himself (apologies to Lee and Postie as I did not get to see them). I also caught up with Bob Cordery to hand over some books as well as discussing matters book related. There have been a couple of significant developments in this regard but again, this will be for a later post. We looked at a number of games - almost as an afterthought if truth be told - but did not spend much time doing so as the trip for me was really all about John and his impressions. It was, when all is said and done, a great way to spend a Sunday morning. The two books that are new additions to the library will probably not come as a surprise given my current interest in the late 17th and early 18th century. Both acquired courtesy of Dave Lanchester and will be valuable sources of inspiration. I heard back from Bill who is currently still in Australia but the good news is that he is returning sooner than expected. This means that I shall be taking delivery of the remaining 18th century figures from Eric's lead mountain next week so the grand sorting can resume and the catalogues completed. Even in the small selection of units I looked at (Austrian and Brandenburg - Prussian) I came across a hundred of the above, 40 standing firing, 30 at the ready and more command packs than you could shake a very large stick at! On the subject of the figures Eric used for his unpainted Marlburian collection I discovered that he used an awful lot of Wargames Foundry. Given that the additional crates I will be receiving contain a significant quantity of Marlburian figures I an fully expecting there to be a lot more of the above. Interesting times then for sure! 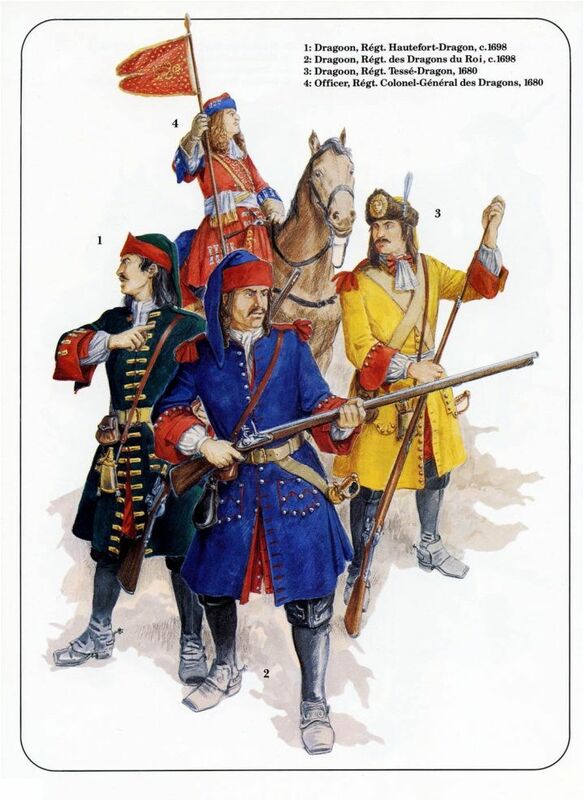 A selection of Venetian infantry. I found a rather good selection of these on Pinterest. I am a huge believer in synchronicity - of multiple moving parts, seemingly unconnected but coming together in space and time to a particular end. Some may say that this is all coincidental and that there is no great plan in the overall scheme of things; or that one can be shaping the conclusion to suit the facts. I cannot comment on either of those two views but for me synchronicity has always had an air of inevitability attached to it. So it has been for me over recent weeks and in fact, going back over many years and including two visits to Corfu, two visits to Venice, two visits to Cyprus, two visits to Malta, three to Turkey and one to Crete. Probably even further back when you include being introduced to 18th century wargames in the first place at the former Newham Wargames club in the late 1970s as well the delights of the army and military history of the Sublime Porte, courtesy of Eric Knowles. All of that history, of reading and visiting places touched by the great events of the past and thinking, always thinking about how they would game. Planning armies and discarding one design after another but still taking part in the occasional period specific game, just to stoke the embers of an idea, of a grand scheme. I have always been attracted to wars or parts of wars that are not in the mainstream and so when anybody says Marlburian then straightaway thoughts of British, Dutch and French armies automatically spring to mind. For me it is the same thing with the Seven Years War - Britain, Prussia France and Austria first with everything else following up. I prefer the wars on the periphery - not necessarily smaller than the main theatres but, well, different. The armies are usually off balanced for one thing - meaning varying quantities of troop types as well as differing tactical considerations. For me this makes for a better game as both sides have different tools to use. 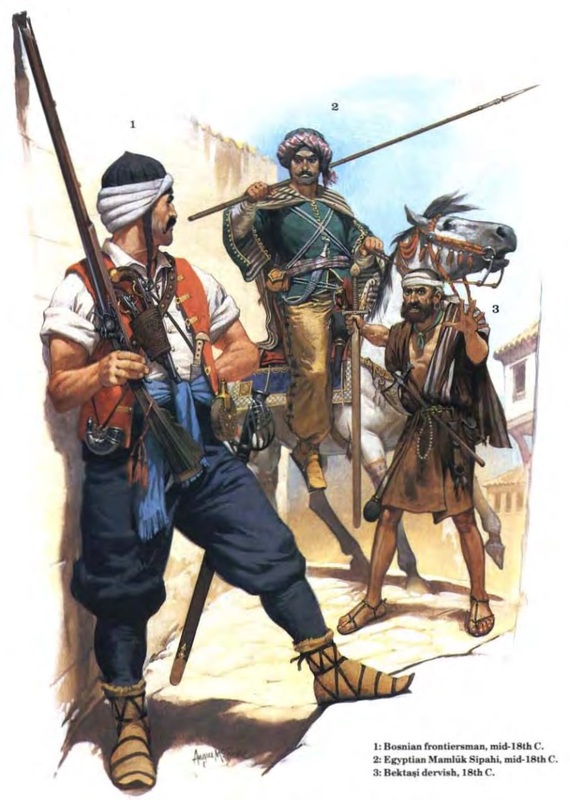 18th century Ottoman troops. Slightly later than what I am looking at but with little difference in attire. 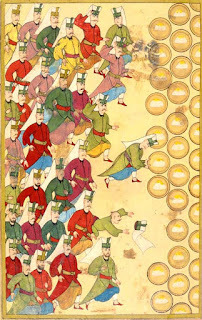 I have always hankered after an Ottoman Turkish army - probably going back to when I was battered mercilessly by one trying to defend Vienna against hordes of Janissaries and a siege train I still have nightmares about. It always seemed to have that exotic 'wow' factor and I suppose it appealed to the inveterate tinkerer in me. There is such a diverse array of troop types and the army seemed geared up to be able to deal with any kind of opposition thrown at it. In many ways it reminded me of my Carthaginian army which was also a similar 'Swiss army knife' kind of set up although not quite as effective and certainly smaller! I now have an Ottoman Turkish army suitable for the later 17th and 18th century. I politely declined the offer of Eric's painted version simply because armies of that scale (we are talking about thousands of figures) are no longer part of my gaming universe. I would never be able to use all of it and storing it would be beyond my resources. I toyed with taking a representative selection of figures from the collection - my standard 150 figures an army - but decided against this as the collection should remain intact for those that have more space, time and money than I. The unpainted version is not as large but still tops out at over a thousand figures and includes Dixon, Essex, Foundry, Hinchliffe and Minifigs. The weakest portion is the cavalry as this virtually all Minifigs and so does not sit well alongside the infantry at all. It is no matter as I shall acquire what I need from elsewhere. I have selected the figures I shall be using and will make the final 'cut' once I have checked out a few sources. What of the opposition? What do you plan to do with this lot? Well, and here comes the kind of synchronicity part, I have been looking long and hard at Eric's collection of unpainted models and have tried to work out what his plan was. I have no idea but it has crystallised a long dormant idea that resurfaced last year upon my return from Corfu. The latter half of the 17th century and the early part of the 18th saw the Republic of Venice fight the Turks on a number of occasions. Ultimately the Turks were able to secure most of Southern Greece from the Venetians and indeed, it could have been a lot worse had the Austrians not come to the aid of Venice in 1716. The final war of 1714 to 1718 - the Second Morean War - ended with Venice becoming in effect an Austrian vassal and the Turks ceding territory to Austria. The Turks kept much of the former Venetian Greek territory. Eric had raised units for Venice for the period as well as a number of other Italian units as the armies of the Doges relied on the use of mercenaries alongside their militia and small number of regular units. 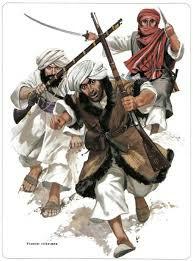 The Turks had their usual core of Janissaries and Sipahis supported by locally raised volunteers and levies. The Austrians was a small regular army supported by the border forces of Croatia and similar. It would be tempting to equate Eric's Venetians and Austrians with his imagi-nations of Umbriago and Bustenberg respectively but I have no certainty of this. 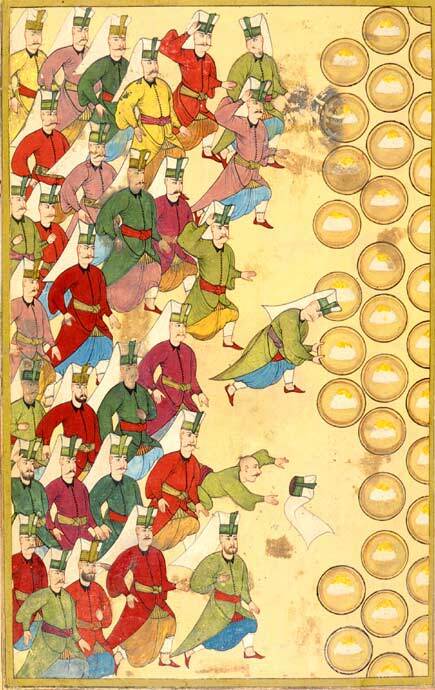 Janissaries accepting the Sultan's food - always a good sign as it meant that they were happy with their lot! Note the variety of dress except for the famous head gear. My plan then, is to raise in addition to the Turks, three other representative forces for the period - Venice, Austria and Russia. These will be of a similar size to the Turks so 150 figures will be the order of the day. Taking some 600 figures from Eric's unpainted lead mountain will barely scratch the surface and in fact represents probably less than half a crate of figures. If I am honest this idea may well have never seen the light of day were it not for the fact I am sorting through Eric's lead mountain and to be frank, it was simply too good an opportunity to pass up on as pretty well everything I need is right there. I had never planned this, nor was the prospect of painting new style 28mm figures for the 18th century something I would have looked out for but, and this is the important part, many of the figures - particularly the Turks - lend themselves nicely to the old flat colours and dip approach which even I, with my well known pathological aversion to painting anything organic, can manage. Of necessity I will need to invest in some material to support this project but surprisingly not to any great extent. I currently reckon around half a dozen books, a selection of bases and a number of cannon. For rules I have not really given much thought beyond The Pikemans Lament although I may take a look at Donnybrook. 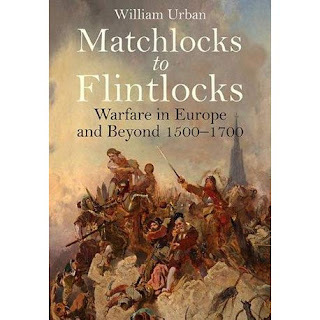 The Portable Wargame would work well or I may even take a look at something specifically Marlburian - perhaps even Maurice, about which I have heard many good things although the number of figures I will be using may be too little. Let us not forget the naval dimension as well as Venice and Turkey fought a number of clashes in the Aegean sea. There will be a lot to do with this and for sure it will be a slow burner but it certainly has the feeling of some kind of destiny about it. It has all the elements I enjoy from a gaming perspective as well as appealing to my sense of the exotic. Carpe Diem for sure but with a long and convoluted ribbon of synchronicity wrapping it all up. A busy week for sure with the wedding anniversary, SWMBO's birthday, an overnight visit to Broadstairs and various other bits and pieces. I was pleased to have discovered another secondhand bookshop not far from where I live - SWMBO was probably less enthusiastic though! - and with the two books I picked up. I was also pleased to have continued with the great figures sort out although I shall be taking some time away from this until I get the final selection of figures from Bill towards the end of next month. As mentioned previously, it makes more sense to catalogue the whole collection at once rather than, in effect, doing it twice. I was pleased to sort out the Ottoman Turks although it raised a couple of questions. the biggest issue really was that Eric was using a relatively motley selection of old Minifigs for the cavalry component. These are OK but do not look good alongside the infantry so I will need to acquire some cavalry in due course. My plan is to produce a force of around 150 pieces which means that there is an awful lot of figures that will be offloaded in due course. I am also going to base the figures individually as I fully envisage using them for any of the Dan Mersey rule sets. The Indian selection of Eric's lead mountain looked very much like a case of making use of whatever odds and ends he had lying around including telegraph pole Minifigs ancient Indian infantry for use as native levy types. I rather liked the Afghans he used for some musketeer types and I was rather pleased to see that the range is still available via Caliver Books. It would not need many additional figures to cobble up a force for The men Who Would Be Kings so there is something else to think about. The figures for the Electorate of Bustenberg look, upon closer inspection, to be early bicorne wearing French Napoleonic infantry. There are also some busby wearing horse artillery and what looks like some early British heavy dragoons (again with bicornes). The Grenadiers Zu Fuss are also wearing bicornes with greatcoats and appear to be from a different manufacturer. This coming weekend sees the Cavalier show in Tonbridge, Kent. I really enjoy this show as it is large enough to have plenty of variety and small enough to take one's time to savour the games and trade in attendance. It is a chance to catch up with friends and to indulge in a little retail therapy. I have a couple of purchases in mind but nothing major. Terrain is the thing I shall be looking out for, as well a visit to Tumbling Dice - more of which to follow next week. It has been a busy day sorting through the lead mountain. I have taken the decision to leave the listing until I get the last of the figures from Bill at the end of next month. My reasoning is simple - I would rather sort through the collection once instead of twice as although I am really enjoying the process it is very time consuming and for the time being it is rather limited. I took the opportunity to sort out the Ottoman Turkish portion of the collection and once again a good few surprises came out of the boxes! 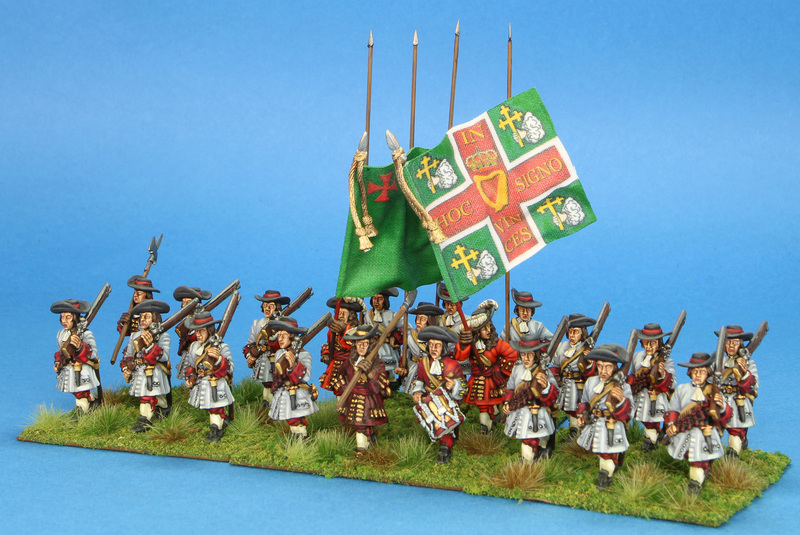 To begin with there was a fair amount of Dixon Miniatures in the mix - Janissaries and assorted musketeer types. 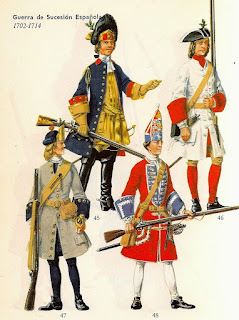 The infantry was split roughly into two parts - the 16th/early 17th century and the late 17th/early 18th century. The main difference being the type of firearm, either match or flintlock. The latter consists of various Balkan tribes whilst the earlier figures appear to be more Anatolian looking. I believe that Eric wanted to use this army for both the 17th and 18th century. The next thing concerned the cavalry. For the most part Eric had mobilised an awful lot of Minifigs types. 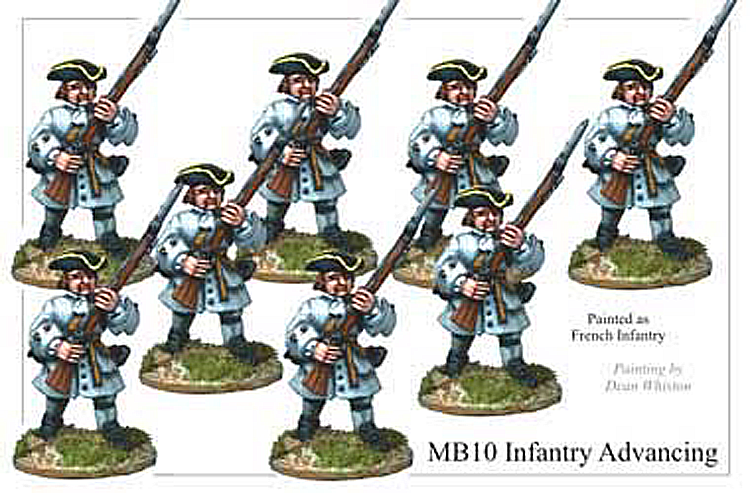 Now these are fine but do not work alongside the figures he was acquiring for the infantry. The cavalry also seemed to be quite early Minifigs which makes the difference in style all the more noticeable. This means that I will look to add the cavalry from one of the newer ranges so the Minifigs will be sadly redundant. I also came across some figures that I am struggling to identify is if anyone has any ideas please let me know! These look very modern compared to the other figures but I have no clue as to what they are. I have a feeling these are Dixons but am not sure. They look very much like Anatolian types but I am not sure. Now these look very much like renaissance matchlock types and are from the range produced by Naismith. I also took a look at the figures Eric had planned to use for his Indian armies. For the most part these are all early Minifigs and Eric had made use of some early ancient Indian infantry to use as irregular native types. These are the ‘telegraph pole’ Minifigs and to be honest are not great to look at. There was also a couple of boxes of firearm infantry - after investigation one box contained a unit of colonial Afghan infantry whilst the other contained Dervishes. These are rather nice in a Minifigs kind of way and certainly in the case of the former I would have little hesitation in adding to these for use with The Men Who Would Be Kings. The one thing that really struck me whilst going through all this lot is how my perception of what constitutes a wargames army has changed over the years. Back in the day aiming for an Eric sized army would have been almost obligatory but nowadays, for me anyway, I tend to work on the basis that an army only needs to be what you would use ordinarily plus a unit or two extra for variety. A good sized force for me would be a dozen units of which I would routinely use only around eight or nine. Given the representational and abstract style of game I usually fight this would translate into around 150 figures all in. I am thinking that basing figures individually would be a better option rather than using multiple bases as I would be keen to look at the skirmish option as well as for more usual games. As ever, much to think about - but in a good way! I have on a number of occasions acknowledged the fact that my lifelong interest in the affairs of the Sublime Porte had its roots in Eric Knowles’s South East Asia naval campaign set in WW1. As the ‘new kid on the block’ I was given command of the smallest navy that would see service - in this case the Turkish - and so my interest in all things Ottoman was born. To this day I can still see the serried ranks of Janissaries deployed beneath the walls of Vienna when we undertook the refight of the siege of 1683. It was an impressive sight and it took the combined efforts of three other figure collections to match it on the day. Eric’s son Bill still has the terrain that was used to represent both the Turkish camp and Vienna itself. Fast forward to the present day and I am sitting on a huge collection of unpainted 25/28mm late 17th and 18th century figures which means that the wherewithal to revisit this is certainly present. I should at this point state for the record that I have absolutely no intention of emulating the Vienna set up! It has made me look long and hard though, at the unpainted Ottoman Turkish collection (amongst others) that Eric had built up and what I can do with it. Bill has already said that I can have this portion of the collection but as we have discussed, even in its unpainted form is far too large for my needs. I have a size in mind and this will also be the basis for the opposition - whatever that may eventually be! I have read this in the past and it is a good primer for the subject. I had previously disposed of many of the books I owned on the earlier Ottoman Empire so a minor shopping expedition may well be on the cards! The other title is one that I missed out on when it was out but have had a weather eye open for it ever since. I have always had an interest in the Indian subcontinent during the 18th century and this is is really the story of the East India Company. Eric had started on a collection of assorted native Indian troops - no Sepoys though - and so I am thinking that at some point he may have contemplated gaming the wars of Robert Clive. Given the size of his Ottoman Turkish collection I dread to think what his idea of a Moghul style army would have looked like! A useful addition to the 18th century section of my library. All of the above factors and the continuing sorting of the lead mountain has really given me much to think about. Trying to guess what was in the mind of Eric with even a fraction of this collection is proving to be a challenging (and frustrating!) experience but I am honoured to have the opportunity to do so. I will be raising a couple of forces from his collection and I hope that this will, in some small way, help to preserve Eric’s legacy. Some very colourful gentlemen from an Osprey title although I have no clue as to which one! Following on from the previous couple of posts I have stepped back from the 11 crate (soon to be joined by a further 6) lead mountain and have had a think about the most effective way to catalogue the figures therein. My first action was to sort the figures into nationalities which was a very useful exercise and gave me a better view of the scale of the project. However, judging by the emails and comments I have received I am thinking that I need to break this down a little further into some kind of chronological order as well. 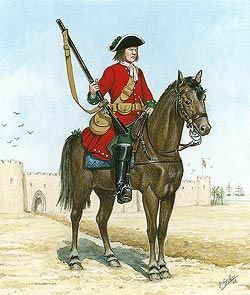 A mounted musketeer from the Tangier garrison. I have chosen the above dates because some nationalities were a little slower to change uniforms etc than others and so a degree of overlap exists. I do not profess to be an expert on any other periods described but as an example the British army looked different during the wars of Marlborough than in the earlier iteration. Eric, who knew the period far better than most, described the units using those dates so I shall use them as a guide. Units will be listed by nationality but I shall order them into the correct time frame so that people that have no interest in a particular period need not look at lists that are not relevant to their chosen subject. Naturally the lists will be incomplete until I get the other 6 crates but at least it means I can make a start on them in the most effective fashion so that the new additions will merely need adding when available. I hope to get this sorted out over the coming weekend. The famous Minifigs logo. I remember buying their figures from a small shop in Charing Cross and then over at Victoria in the late 1970s and early 1980s. The whole range is now available from Caliver Books. It has not arisen yet but I can foresee a fairly significant problem looming over the horizon in respect of the Eric Knowles 18th century lead mountain. The unpainted 25/28mm collection contains a significant number of figures produced by that stalwart of wargaming history - Miniature Figurines or Minifigs as we usually refer to them. For me, from the mid 1970s until the early 1980s armies of Minifigs for all periods from the time of the Pharaohs until the Great War strode across the table tops of the wargaming world. Their catalogue was an inspiring read in its own right and I can remember the sheer thrill of having one drop through the letter box and be read until the pages came loose! In 25mm or 15mm when choosing a new army the first thought (after 'is there an Osprey or a Blandford on it?') was invariably 'do Minifigs do it?' For breadth of coverage and uniformity of quality and pose Minifigs had a huge impact on the wargames of the world. The figures were basic but would reward a good paint job as well as more basic brushwork and although wooden in terms of pose were ideal for using en masse. 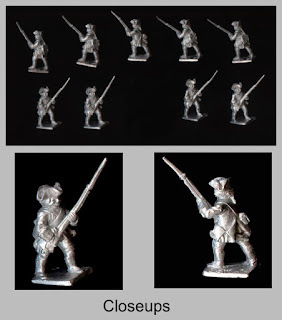 Minifigs 25mm Seven Years War infantry. Now I am going to put this out there and certainly remain to be corrected but I believe that the reason we do not see quite so many Minifigs based armies around is simply because figure ranges now are not only larger but are also more detailed and animated. There is nothing wrong with this as there was nothing wrong with Minifigs - tastes have simply moved on and so it is very rare to see armies of Minifigs alongside Front Rank or Essex for example - simply because the ranges are so different. I have absolutely no problem with Minifigs but I can see why they may not tick all the boxes for the evolved gamers of today. Eric had no qualms about mixing ranges in his armies and indeed, was also usually fairly relaxed about such considerations as scale. This means that for most of his armies there is invariably a number of units of Minifigs - usually the first he raised for a particular project. The problem that I think will arise is that whilst the Front Rank, Essex, Redoubt and later Hinchliffe will find a new home readily enough the early indications are that the perfectly usable Minifigs may well be left behind. This is a conversation that Bill and I will be revisiting in due course but in the meantime I will seeking out those gamers that enjoy using these classic figures. Following on from my post of earlier I received a very helpful email from Bill in connection with the ‘missing’ 18th century unpainted figures and it not only confirmed a couple of things for me but also raised yet more questions! To give you a better idea of the enormity of this undertaking, the sorting and cataloguing, I am showing you the list that Bill sent me. The figures are all in unit boxes so he merely carried out a headcount based the labels of the contents in each one. Taking that into consideration there is around another 5 or 6 crates worth which I shall be taking delivery at the end of next month. The questions that were answered for the main addressed some gaps in the army compositions of those force I have already. 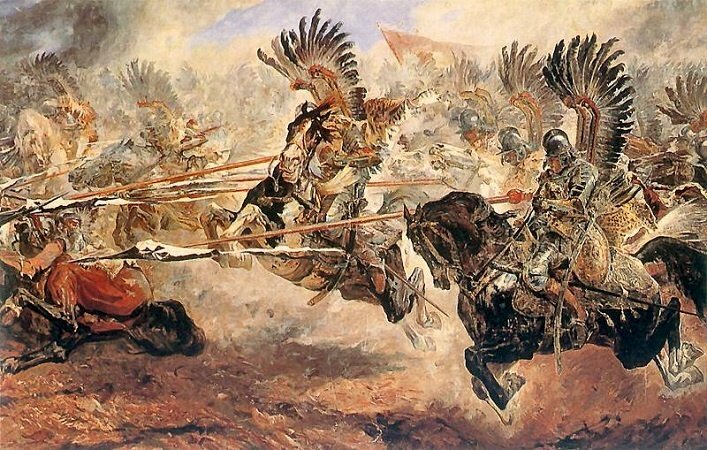 A good example of this concerns the Polish army. I have all the cavalry whilst the infantry lurked in Bill’s loft. 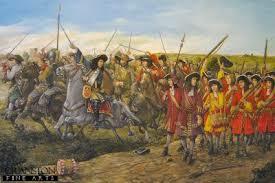 The British infantry for the 1680 to 1700 period - all 734 of them - was another notable absentee. It is safe to say that Eric liked his armies in ‘the grand manner’ and one wonders when on earth he would have gotten around to painting this lot, much yet use it! SYW Austrian Cavalry - I have the foot and some mtd for this army. Of all the above the one thing that really piqued my curiosity was the army described as the Seven Years War Italian Umbriago - a collection of some 77 mounted and 235 foot. I will check with Bill but if this is correct (and I have no doubt that it is) then Eric was organising a second ‘imagi-nation’ alongside the Electorate of Bustenberg. At the time of writing Bill is preparing a list of the units for 'Umbriago' so we can see what is there and if my theory is correct. Again, should this be correct then it is a second 18th century 'imagi-nation' that Eric was considering. Until I take delivery of this lot I have no way of knowing what figures Eric has used although I suspect that usual suspects of Minifigs, Front Rank, Essex, Hinchliffe and even Wargames Foundry will feature alongside the smattering of Hinton Hunt and Les Higgins. 'Umbriago' was a song (and an imaginary comic sidekick) by the famous American entertainer Jimmy Durante. Whether or not it will receive a reinvention as an Italian themed 18th century 'imagi-nation' only time will tell! It has been an eventful week to say the least! To begin I finally took delivery of the first part of the lead mountain that Eric Knowles had acquired - 11 crates worth of 25/28mm figures - with a view to sorting out disposing of. After having ordered the figures into nationalities I soon discovered that this was by no means the finished article. 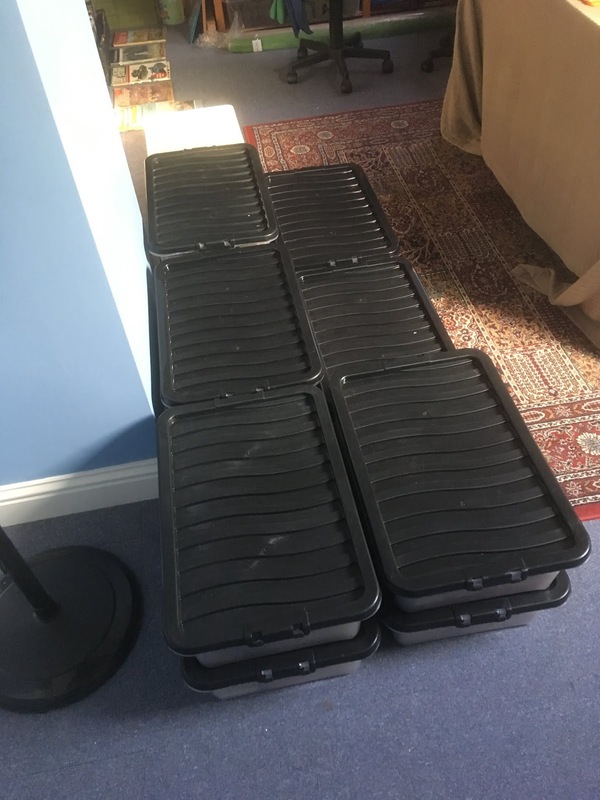 Sure enough, a quick phone call to Eric's son Bill and it came to pass that there is probably another 5 or 6 crates of unpainted metal for the 18th century collection. The sole reason I only had 11 crates worth was simply due to Bill only having this number available! Sorting the crates into nationalities took me a couple of nights and so I now have a much better handle on what is there. So far the main bulk is probably for the Seven Years War and in a way this makes a degree of sense as Eric's painted collection for the 18th century is primarily Marlburian. 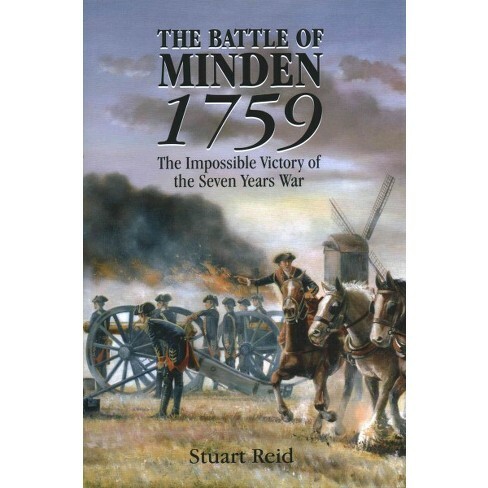 he was certainly looking to expand into the Seven Years War and so acquired most of the models from such sources as Front Rank and Hinchliffe by the looks of it. There is a lot of Minifigs in the collection but Eric was in the habit of routinely mixing figure manufacturers within his armies so he would not have fazed by this. I will need to further break the collection down as there is a lot of residual 1680 to 1700 material for most nationalities - complete armies in some cases - so my first listings will be for this period and for the Marburians. 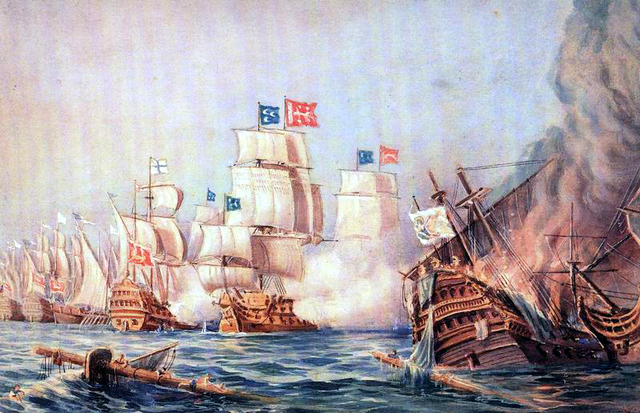 The Seven Year war will be next, followed by the American War of Independence. The piece de resistance from this earlier selection of figures is undoubtedly the Irish Army of King James for 1690. The figures for this are mostly Essex and Front Rank although again there are a couple of Minifigs units thrown in for good measure, even the odd Hinton Hunt/Les Higgins! There is a large Ottoman Turkish force that includes everything from Janissaries through to Crimean Tartar horsemen with a large dose of miscellaneous foot and the inevitable Sipahis. Alongside of this there is also half a crate of figures for the Indian subcontinent so lots of native irregular foot and Sillidar cavalry. The other big news for the week is that Pen and Sword the publishers have accepted my book proposal and so now I am officially an aspiring author! I am really excited about this and the plan is for publication at some point next year. I have already amassed a whole pile of notes and stuff and the basic framework is largely in place. I now need to crack on with the draft. All in all then, it was not a bad week. One of the many surprises that came out of the eleven crates of unpainted 18th century figures from the collection of Eric Knowles was number of unit boxes designated 'The Electorate of Bustenberg'. The boxes consisted of units of horse and foot and rather a lot of gunners with figures from the final quarter of the 18th century that eventually filled an entire crate. The units all had names so a certain amount of preparation and forethought had been undertaken by Eric and indeed, the whole set up formed a complete and sizeable army for the period. Nobody, including Eric's son Bill, knew anything about this particular project of Eric's and aside from some small notes about uniform details - Eric was very organised about such things - contained in a few of the unit boxes themselves, the whole thing is a bit of a mystery. There is also 46 gunners as well as mounted generals etc. Interestingly the figures are quite late in the century compared to the rest of the collection as the infantry are wearing trousers and bicornes whilst the heavy cavalry looks suspiciously like British Napoleonic heavy dragoons. It is fascinating to speculate exactly what Eric intended for this part of his collection although given that he had the 18th century already covered with his historical armies he may not have prioritised it. I must confess that seeing this and all the attendant figures for the other forces did make me think rather whimsically about my own aspirations in the 'imagi-nation' direction. The Grand Duchy of Artois and the Electorate of Kronenbourg have existed as an idea for at least ten years, probably longer. I still have the list regimental names for each side - Artois taking theirs from the names of various wines whilst Kronenbourg are after continental beers. The one thing that struck me though about all this is that these ideas need to be acted upon or, as in the case of the Electorate of Bustenberg, they pass away into history with their creator. A rather nice colour plate from, as I recall, a Blandford uniforms title. I went through the remaining five crates of figures from the collection of Eric Knowles and true to form there were a few surprises revealed and even more unanswered questions! I can now confirm what was in the crates and this weekend will see the laborious task of listing out the individual boxes. To give you an idea of what I am dealing with the following is a rough guide to what is present. 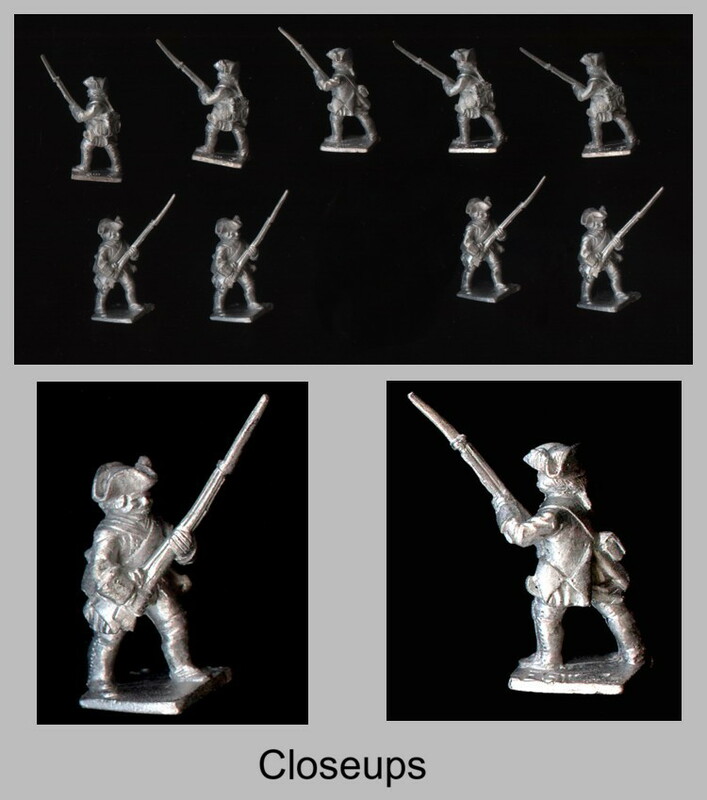 There are also a number of generic boxes of figures for the 17th/18th century - villagers, armed mobs, militia types not to mention some Napoleonic naval gun crews. 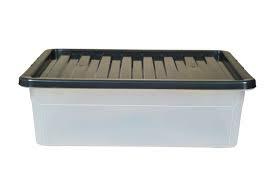 Virtually all of the units are individually boxed although in a couple of cases time has not been kind either to the boxes used nor the identifying labels. The forces as a rule contain all the associated command figures in the units and for the most part the infantry is regimental in size e.g. regiment x has y battalions. There is cavalry, gunners, engineers and command for each of the main armies. In a few cases the units are referenced back to the plate and page number from the Funcken Lace Wars series. I suspected that I did not have all the 17th/18th century unpainted figures and a quick telephone call with Bill confirmed this. The simple reason is that he ran out of crates! The plan is for Bill to sort out the remainder to pass to me in due course but in the meantime the cataloguing can commence. In terms of numbers of figures Eric's armies were very much a product of their time and so larger units that could be broken down into smaller parts was the order of the day. 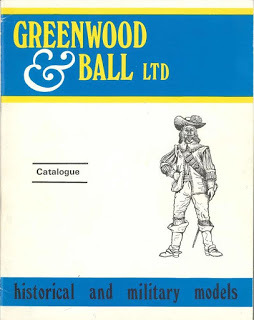 A Greenwood and Ball catalogue from circa. 1975 - not in the 11 boxes but a fair number of Seven Years War figures certainly are! I have just gone through the first six of the eleven boxes of figures and to say that I was stunned by the contents is probably something of an understatement! My plan is to sort out the boxes of units into nationalities and to then draw up lists to be passed on to interested parties. So far so good but there were certainly a few surprises uncovered. The sorting process has been helped enormously by the fact that Eric labelled everything and also dated the units so there are some from 1680 to 1700, 1720 to 1740 and then 1740 to 1780. He also added small notes as references in many of the boxes and so, for example, quite a few units quote the appropriate page and unit from the Funcken Lace Wars series. There are British, French, Austrian, Venetian, Bavarian, Ottoman Turkish, Polish, Prussian and a solitary box of Russian cavalry. By far and away the largest component across the collection is for the Seven Years War and I am fully expecting there to be a lot more of this in the other five boxes. There is a lot of Greenwood and Ball figures in the collection as well as Front Rank and Minifigs and whilst I am fairly comfortable identifying the latter will certainly struggle with the former. The unit sizes are variable but significantly Eric seemed to have raised regiments of multiple battalions. It struck me that this collection seemed to be moving towards the Seven Years War more than the earlier Marlburian/late 17th century which formed the bulk of his painted armies. 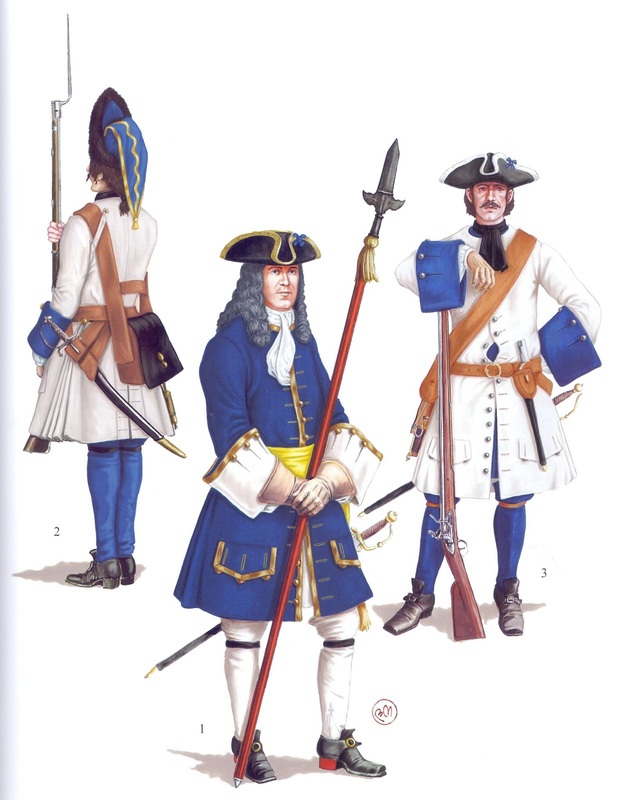 When I think back to the Newham days both Chris Hardman and Neil Fox were very active in the Seven Years War whilst Eric for the most part fielded his earlier collection but was starting to raise later armies. This may go some way to explaining why the earlier period unpainted figures are by far the smaller part of the lead mountain. Having said that there is still an awful lot of figures! Another surprise was opening several boxes of 17th century Polish cavalry include a quite superb unit of the famous Winged Hussars. You may recall mention of the refight of the great Siege of Vienna in 1683 that took place in the cellar of Eric’s shop. The armies in this refight came from a variety of sources but the Poles were loaned from one of the denizens of the Newham club. I can only assume that Eric then decided to raise a Polish army to add to his forces for the late 17th century. In the absence of any hard facts on the subject I have come to a number of conclusions about the collection and where it sits in the grand scheme of things. That Eric was looking to raise some large Seven Years War armies there can be no doubt. He diligently acquired all the figures, organised all the units and had worked out what units were to be represented. The figures used were for the most part 25/28mm from a variety of manufacturers and in many ways represented a step up from his earlier, largely Higgins based Marburians. Eric would happily mix ranges in his armies and would routinely use Higgins with larger figures but the latter were becoming more and more readily available (remember we are talking about the late 1970s and early 1980s) and so formed a far greater proportion of his planned forces. I have no way of knowing for sure but when Eric retired and moved to Coningsby the 18th century kit seemed to have gone into storage at his bungalow and there it languished whilst he looked to WW2 (and grew a truly enormous collection in 20mm - still to be sorted). Hypothetical I know but it certainly fits the collection. We will never know the whys and wherefores of Eric's plans with this lot but what is true is that we are left with a quite remarkable example of how to organise a lead mountain! 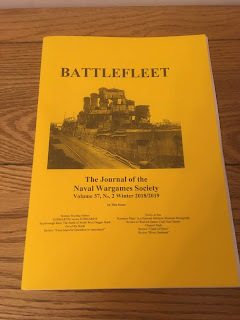 It was a good day yesterday as not only did the Winter 2018/2019 edition of Battlefleet - the journal of the Naval Wargames Society - arrive but I also took delivery of the first part of the Eric Knowles collection that I am helping his son, Bill, to dispose of. The last edition of the current subscription year and as ever, a very interesting read. 60. Review "River Gunboats: An Illustrated Encyclopedia" by Roger Branfill-Cook (published by Seaforth) by Rob Morgan. A nice selection of articles as ever and so this will be my train reading for the next couple of days! The Cruel Seas review by David Manley is very interesting and as he is well known and respected writer of naval rules is well worth a read. I also enjoyed Scarborough Raid article as well SAGA at Sea - something for the Dark Age skirmish fraternity to think about although 28mm Viking ships may be a challenge to source - take a look at the article Out of the North for some ideas in that direction! Something special this way comes! This is very much the tip of the tip of the iceberg and Bill estimates that he has at least another 20 boxes of unpainted stuff but the above is all the 17th/18th century. I thought I was getting 10 boxes but instead in turned into 11! The above contains the 25/28mm unpainted late 17th and 18th century figures from the collection of Eric Knowles. I shall be spending the next few days sorting through this lot (and moving it into the man cave) and drawing up a list of what is there. Fortunately Eric was quite organised and so everything has been assigned to units with, in many cases, regimental details for painting etc. The one problem I will have though is that the figures themselves are unidentified - Minifigs however should be easy enough to spot! - and also that Eric would often use figures for units and nationalities other than that which they were intended for. My plan is to first sort the unit boxes into nationalities and then list them with the number of figures making up the unit. I will be able to take photos as and when required. 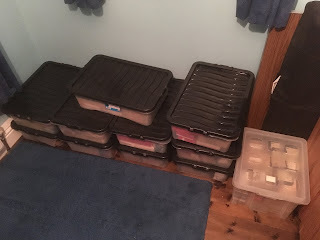 the unit boxes themselves are interesting in their own right as there are old Hinchliffe boxes, old style plastic kit boxes, 54mm Britains boxes all complete with the dust of 30 to 50 years of storage! I will post on the blog as I progress through this lot and then comes the hard part of selling the same. There will be bargains to be had! It has been a productive week with progress being made on several fronts with the added bonus of meeting up with an old gaming friend as well as some welcome news in respect of the collection of Eric Knowles. Work has continued on the first draft of my book and as a result several lists have been drawn up and are finally in the same place. Previously a lot of the planned content was split between various notebooks, scraps of paper and even some electronic files but all is now in one place which makes life a whole lot easier. It has also given me a better idea of the stricture of the book and what parts will need more work compared to others. I am sure that other bits and pieces will crop up as the work gets underway in earnest but at least there is now a framework in place. I met up with an old Newham friend on Wednesday evening for a chat and a couple of beers. John was an active member of the Manor Park club that operated in the cellar of the New Model Army wargames shop run by the late Eric Knowles and his wife Ivy. John has not been an active wargamer for a number of years but maintains an interest in matters military. You may recall that John and I went to Eric's funeral last year and during the 6 hour round trip talked about things many and varied. We had lost touch for a few years but he now lives in Rayleigh (albeit the other side to myself) so we can stay in contact far more readily. John's big passion was always Ancients and he was a huge fan of WRG 6th edition. We fought a number of battles back in the day with yours truly driving a Carthaginian Army against his Late Romans. I also fought him using an Indian Army complete with 9 x Irregular B elephants commanded by a general that charged into his legion from an uphill position whilst impetuous....In his younger days before I met him he also painted a large number of figures for Eric for his famous Madasahatta collection. We talked about many things and I would like to face him over a wargames table at some point - which is something he is keen to do. With this in mind I was very pleased that he has agreed to take part in one of the games I plan to include in my book. I will greatly value his pragmatic input. The Earl of Antrim's Foot - Front Rank late 17th century figures - and very nice they look as well! Mention of Eric and his collection leads me rather handily into the last part of my Sitrep for this week. I am meeting Bill this evening to take delivery of 10 x 32 litre plastic storage boxes full of unpainted 25/28mm 1680 to 1720 figures - a large proportion of which are Front Rank. I am helping Bill with the disposal of this lot - there is plenty more to follow including the painted 18th century kit, a huge selection of 20mm WW2 models not to mention the 1:1200th scale ships and books. The plan is to get some kind of a catalogue together and then sell them. I will post regular updates via the blog and as a guide the figures will be roughly a quarter of the RRP with additional discounts for large bulk purchases. Luckily Eric was rather organised with this lot and so much of it bagged in units with a small note of what they are going to be including uniform details etc. I will be taking plenty of pictures whilst compiling the list so watch this space for further details in due course.